Haunted by his wife and son’s brutal abduction and murder, ex-soldier Will Jaeger runs to the ends of the Earth to recover and to hide. But even there he is found and compelled to undertake one last mission and to confront a savage past he can barely even remember. Jaeger agrees to lead an expedition into the Mountains of the Gods in the remote Amazon jungle. At the dark heart of this real-life Lost World lies a mystery WWII warplane, one that harbours a secret so explosive its very discovery may tear the world asunder. Terrifying forces are hell-bent on keeping the warplane forever hidden. Unwittingly, Will Jaeger is going in against them. But as Jaeger joins a team of former elite warriors – including ice-cool Russian operator Irina Narov – he senses that the air wreck also harbours the answer he so longs to uncover: the identity of his wife and son’s murderers. Hair-raising adventure, extreme survival quest and a shocking mystery reaching back into the horrors of Nazi Germany. I have to admit to being very intrigued by this book, i have never seen a single TV episode or read any of the non fiction books by this author, but you would have to have been living in a hole for a number of years to not have heard of this crazy man of the wild. The plot of the book, coupled with the authors real life skills had all the hallmarks of a new Jack Higgins, i’m a sucker for any book with WW2 links, where it attempts to stop the rise of the Reich or the rise of a new one, hidden mysteries and the Night and Fog of war. Could the writer pull it together into a coherent, action adventure thriller? Yes and no. The book has many great points to it, its really grabs you from the first pages and yanks you into the thick of it. but there are some clunky passages, and there are often times where un-needed references / detail are thrust at the reader rather than bleeding out naturally. It very much reminded me of some of the early Andy McNab fiction books, and look how good his thrillers have become. 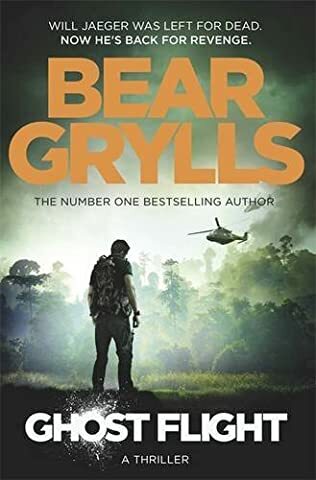 I have a feeling Bear Grylls could be better, he has more of the Jack Higgins flair. Great characters, gripping exciting plot; incredible what if scenarios, the book has so much to give. One thing however that did very much grate with me the reader was the ending, the book didn’t end, or rather the story didn’t, the pages ran out, the plot probably had another 100 pages or more to go. Yet suddenly im faced with…. the book continues etc.. As a prelude to selling me book 2 that may not be out for a year, that’s just not cool. When i buy and read a book i expect the story in front of me to end. The author has several opportunities to end the book at a decent point and still then keep his plot for book two, but he played out some further sequences and as such left the reader hanging. So for the book style and plot i give this a 3.5/5 but for the ending, 2/5. I’m really looking forward to the next book, but i don’t know if i can pick it up without checking that it ends, and that could spoil the read.